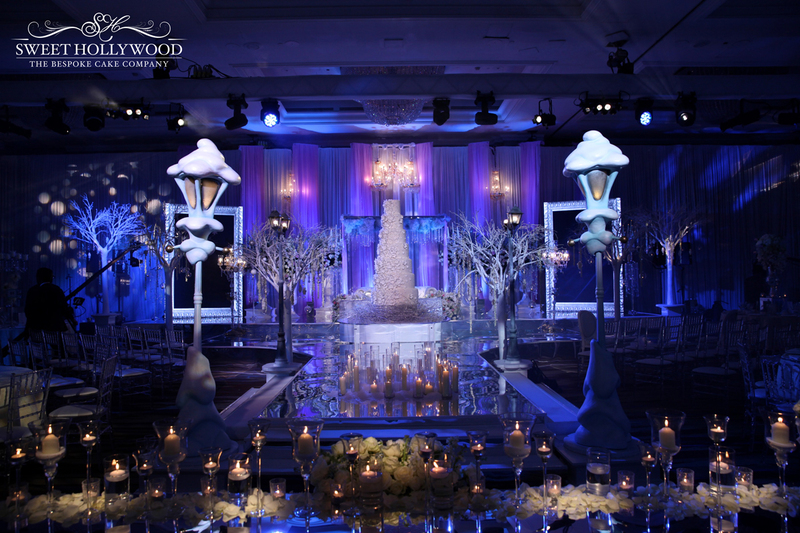 If you’re looking for a winter themed wedding cake maker in London with wow factor, then look no further! 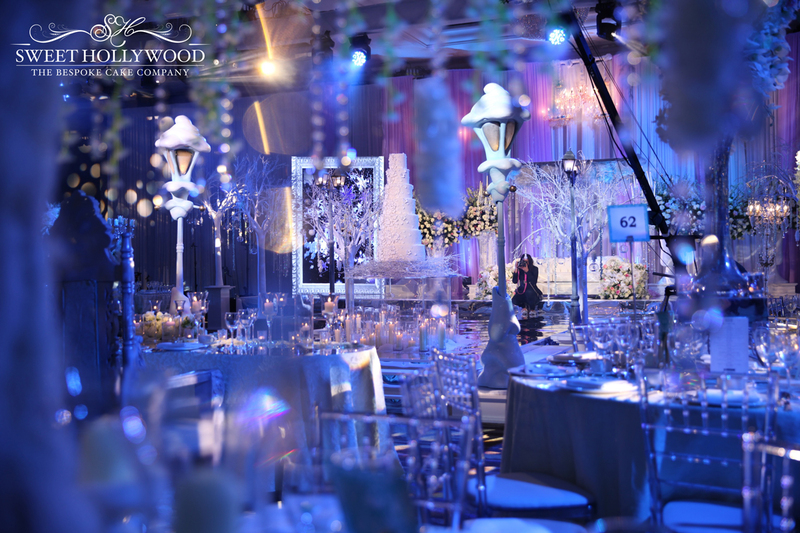 Sweet Hollywood specialise in creating some of the most luxurious and grand wedding cakes in London. 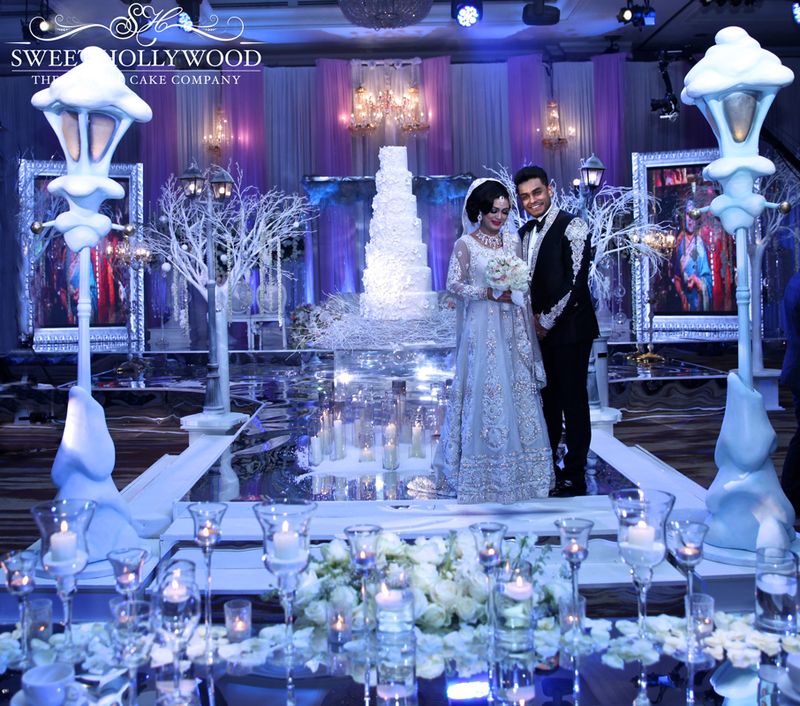 air max 2017 goedkoop After creating a beautiful statement wedding cake for Jeffrey & Medea’s wedding reception at Grosvenoue House, we were delighted to create another unique bespoke wedding cake for their magical winter themed second Asian wedding reception @ Hilton Park Lane. Jeffery’s families are big foodies and his father Enam Ali MBE is the founder of the highly acclaimed Le Raj restaurant in Epsom and he is also the founder of the British Curry Awards. sac à dos fjallraven kanken With the above in mind we were delighted to have a consultation with Mrs. fjallraven kanken españa Ali and sister Justine who were keen to discuss various ideas and concepts. 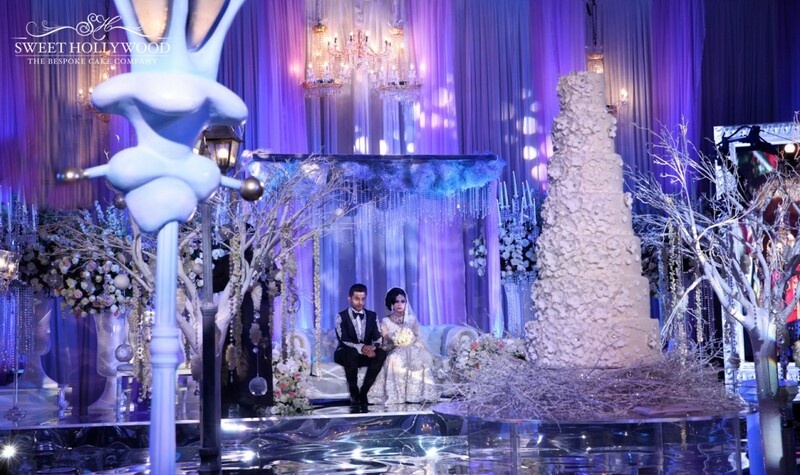 adidas pas cher In true Sweet Hollywood style we embraced the theme and created this grand wedding cake that simply took our clients and their esteemed guests breath away. Leading Asian wedding suppliers included Asian wedding catering by Madhus, wedding décor by Dream Occasions, Asian wedding photography by Muse Motion, Music by Professors, Lighting production by Pro systems and luxury Asian wedding cake by Sweet Hollywood. Winter weddings are magical, romantic and most importantly very unique, then why not have a stunning bespoke wedding cake to match. 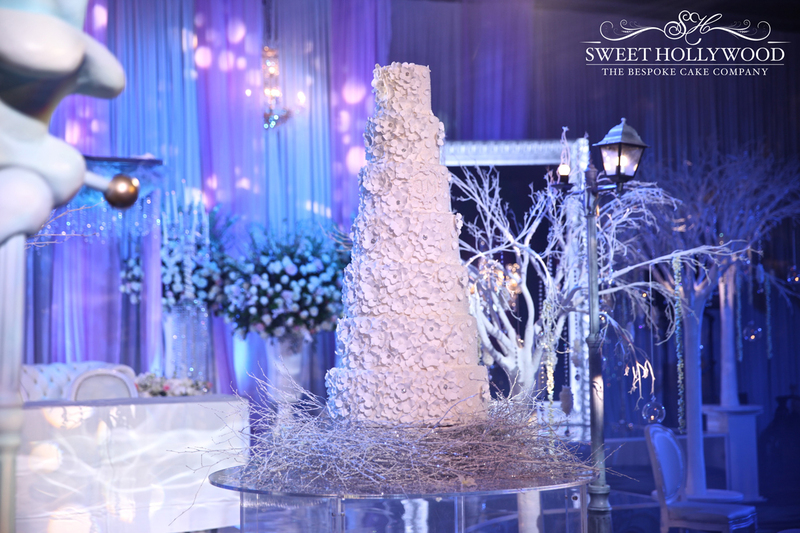 The superior grand wedding cake featured an edible snow finish along with a personalized crest and a dramatic cascade of hand made sugar flowers, which swept across one side of the tall wedding cake. Goedkoop Adidas Schoenen The sparkle of winter frost came through with magical touches that were added including a shimmering twig base and our floating table complete with snow and candles. air max 2017 heren The full wedding cake production was created by Sweet Hollywood who are renown in creating stunning edible creations along with all the finishing touches to complete the presentation.